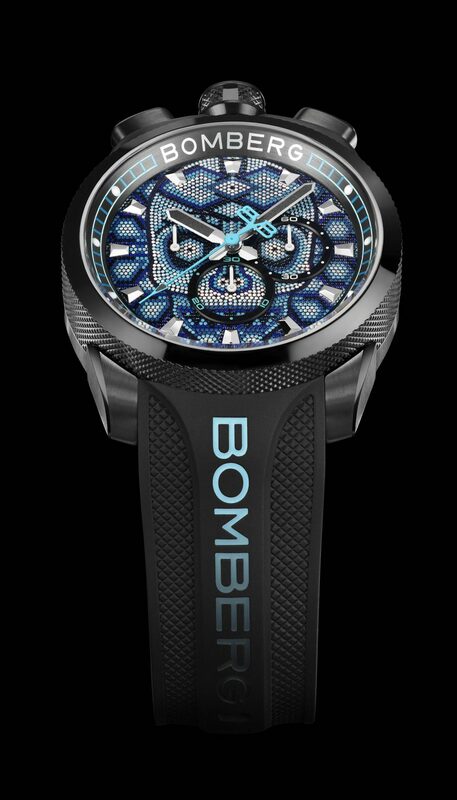 An iconic image of Rick De La Croix‘s BOMBERG, with its crown and pushers at 12 o’clock, this watch shows a refined line whose aesthetic is remarkably balanced. 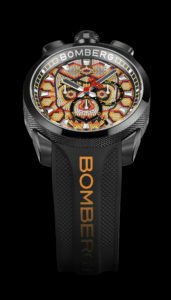 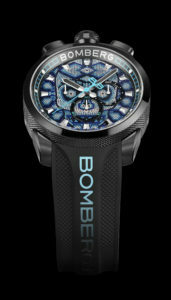 Dazzling patterns, created by BOMBERG to live up to the reputation of Huichol Art, decorate the dial, including the counters. 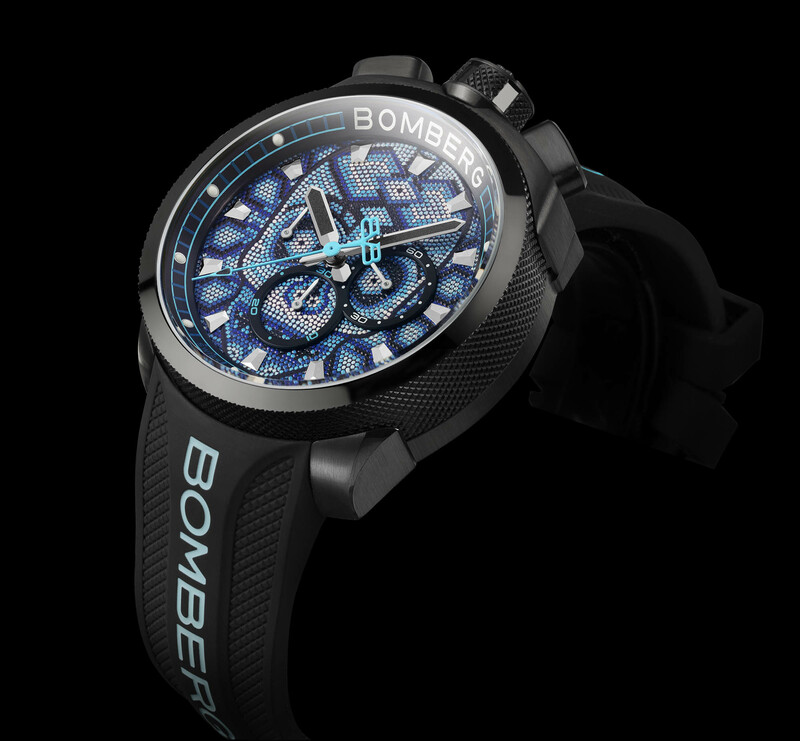 The case, once detached from the bracelet, is transformed into a jewel-watch to great effect, to be carried as a medallion at the end of a chain, or as a pocket watch. 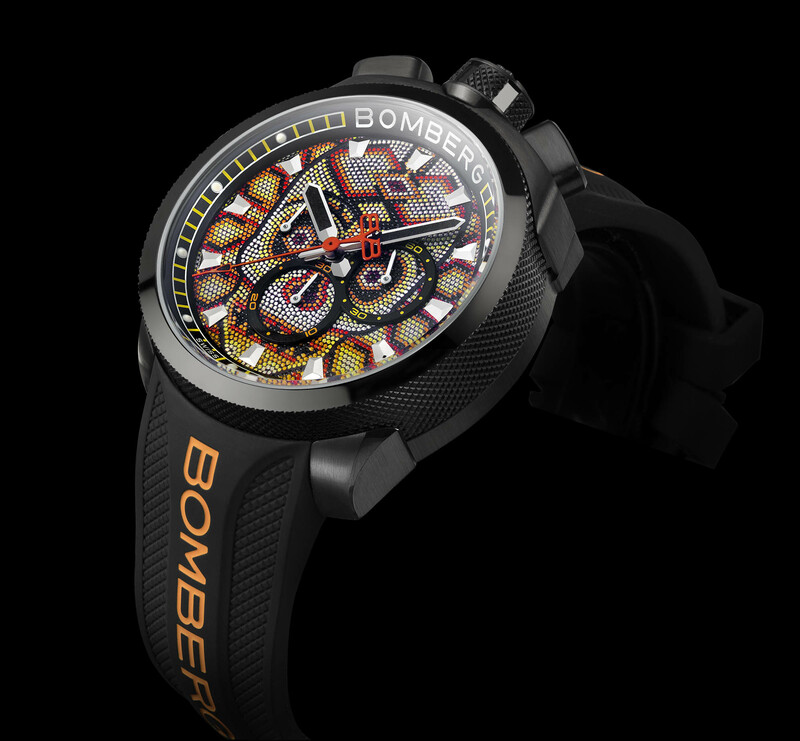 Rick De La Croix‘s BOMBERG was inspired by the art originating in Mexico that was traditionally practiced to attract the favorable attention of ancestors and gods. 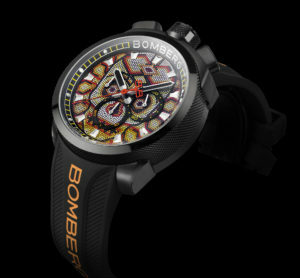 A sacred art, simultaneously a colorful expression reaching towards spiritual liberation. 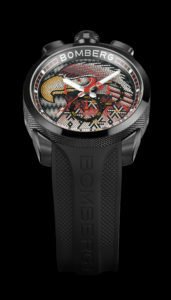 The symbolism is potent and the bright colors help to highlight the visions offered by the gods. 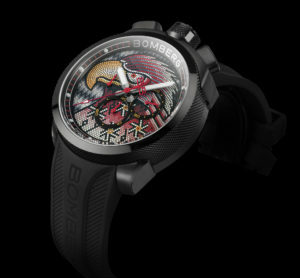 Designed in the manner of pointillism with tiny colorful touches resembling pearls, the chosen BOMBERG motifs are the master bird of prey or the skull, home of the soul.